The Rite of Christian Initiation of Adults (RCIA) is a process in which the Church encourages and supports those persons who are inquiring into or seeking membership in the Catholic faith community. The Catholic Church warmly welcomes new members and tries to provide an appropriate spiritual formation according to each person’s needs. Who may attend the process? Have been baptized in another Christian faith. Were baptized as Catholics but not raised as Catholics. The process consists of weekly sessions lasting about two hours or less. 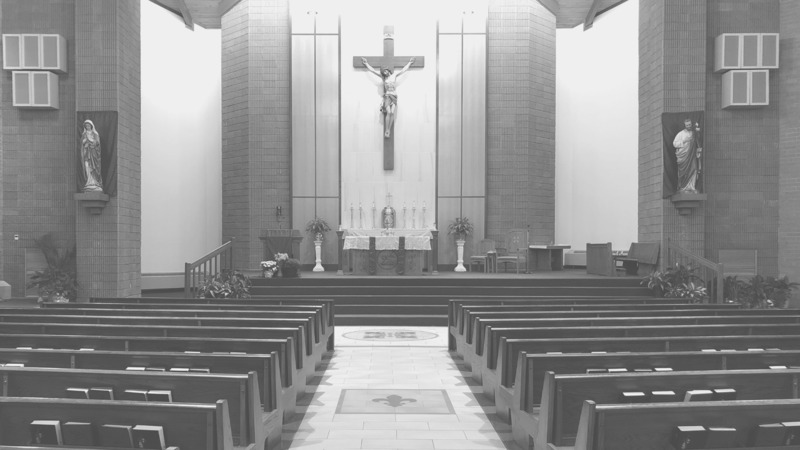 During this time, those persons who have decided to seek full Church membership are presented to the parish community at a Sunday Mass celebration. This process is preparation for a lifetime commitment that comes with reception into the Church. Several Sunday and weekday rituals mark the spiritual growth of the candidates as well as express the community joy and concern for them. The weekly sessions cover a broad range of topics including Scripture, God, Jesus, the Holy Spirit, the Church, Faith, the Sacraments, Conscience & Moral decision making, Sin, Reconciliation, Ministry, Mary & the Saints, Justice, and many others. If I begin the RCIA process, am I obliged to become a Catholic? There is no obligation to make any kind of commitment, nor is there pressure exerted on anyone to become a Catholic. We respect the conscience and decision of the inquirer. Because of your association with us, we would hope that you would gain a deeper appreciation and understanding of Catholic beliefs and practices. The RCIA sessions begin in September and continues through late April, which most people find doable. However Our Lady of Victory does welcome inquiries about being Catholic throughout the year. Please call the parish office (922-4460) if you are considering RCIA.